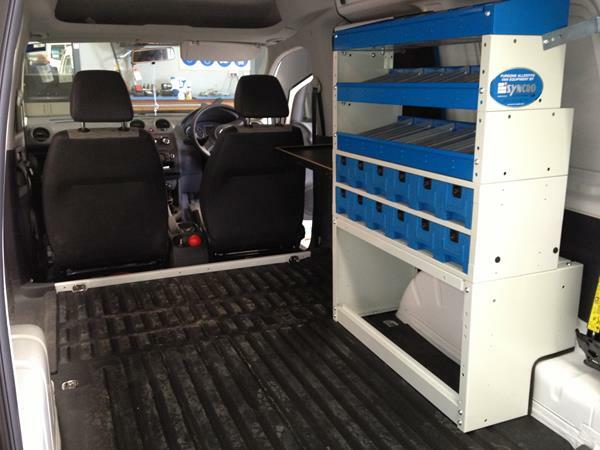 At Syncro Systems we have one of the most versatile van shelving systems in the market. 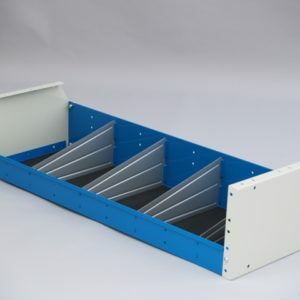 All Syncro System shelf trays are manufactured with high-strength steel and are popularly known as adjustable shelving. 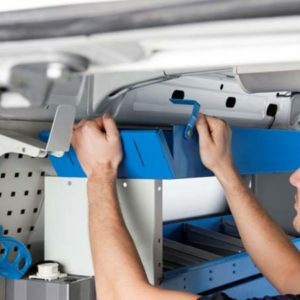 The van shelving systems provided with aluminium dividers come with anti-slip mats and dividers and anti-vibration fixation system for high performance. 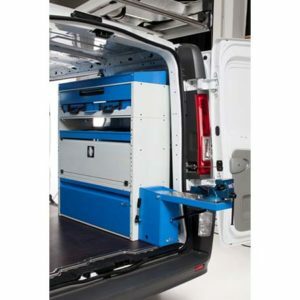 The trapezoidal design with a higher rear side enables easy access and superior loading volume of the van storage systems. 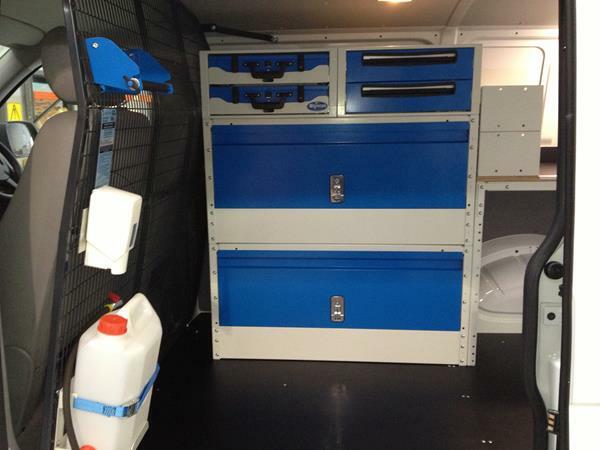 The van shelving is also available with doors and provided with a gas spring assisted hinge system. 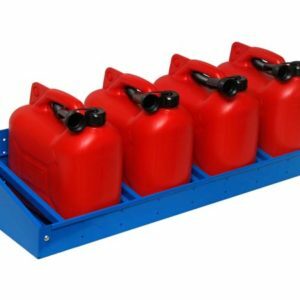 Polypropylene containers have been designed according to Syncro System customers’ requirements they come in 3 different sizes and 2 versions. 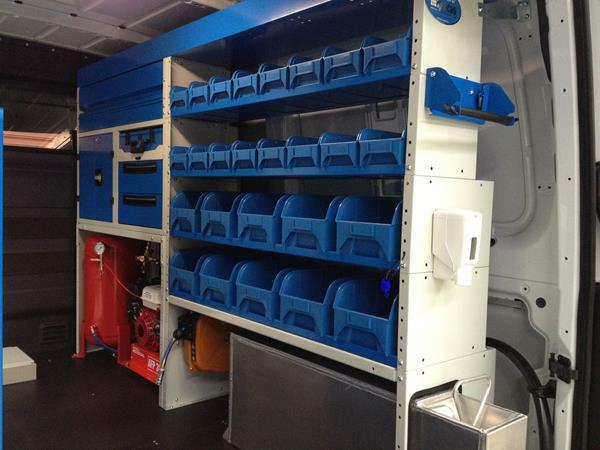 These van storage systems are larger than standard storage bins. 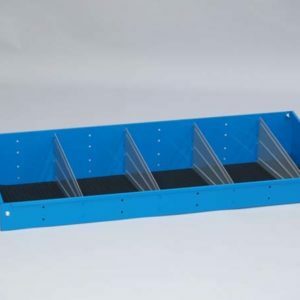 Thanks to the practical design of these van adjustable shelving tray, it facilitates smart placement of plastic containers in an area that restricts them from moving around while driving. 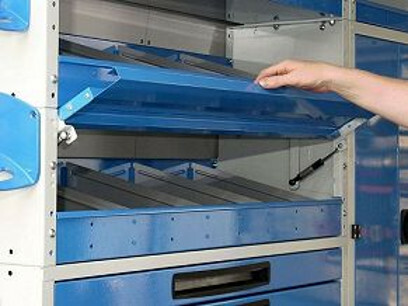 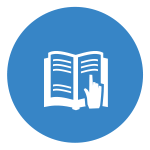 The adjustable shelving can be also be easily removed and picked up to the place they need to be used in whenever necessary. 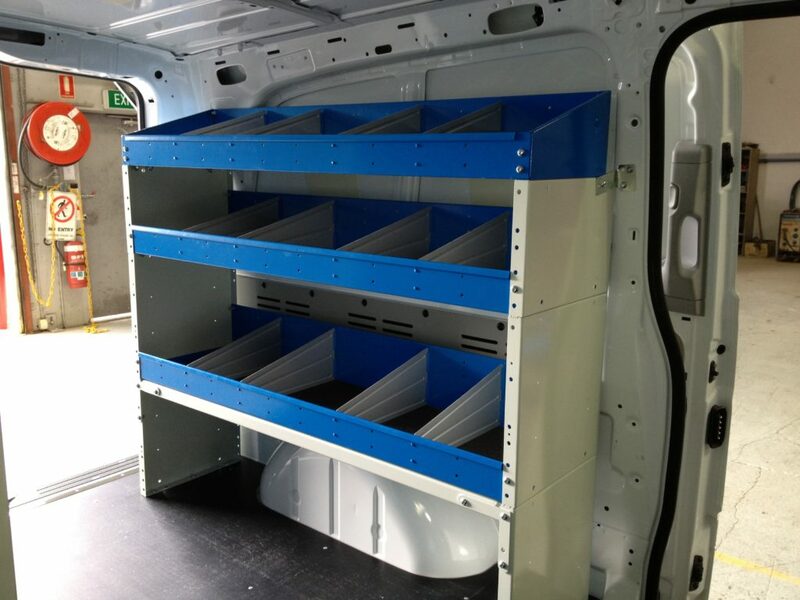 The van shelving can be customised as per the size and color of your van interiors with no compromise on quality and performance. 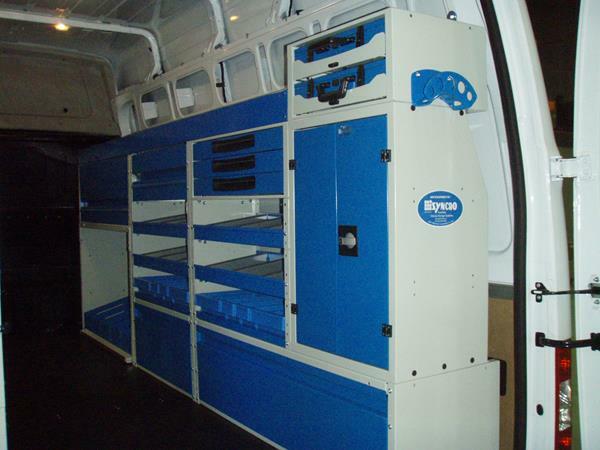 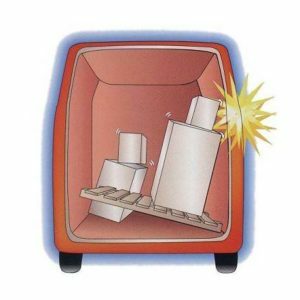 The most valuable addition to the range of storage systems is the 4wd storage systems. 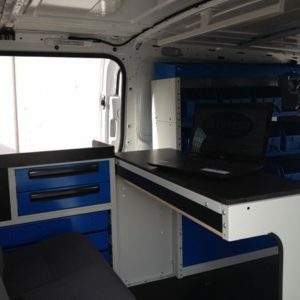 The most convenient set up for the vans are highly flexible as they can be easily placed and removed. 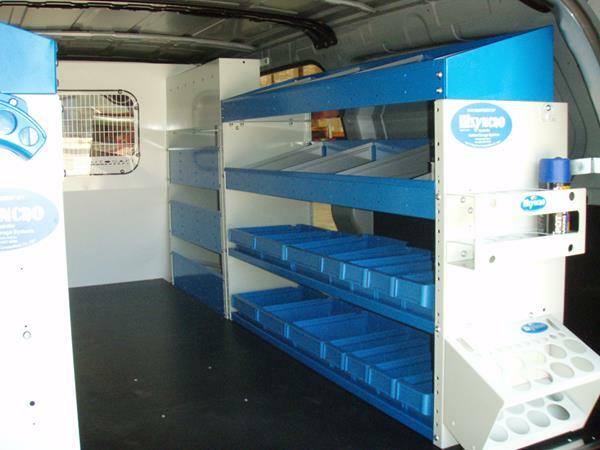 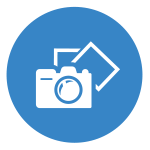 We also provide top-quality ladder racks in the range of superior van fit out in Australia. 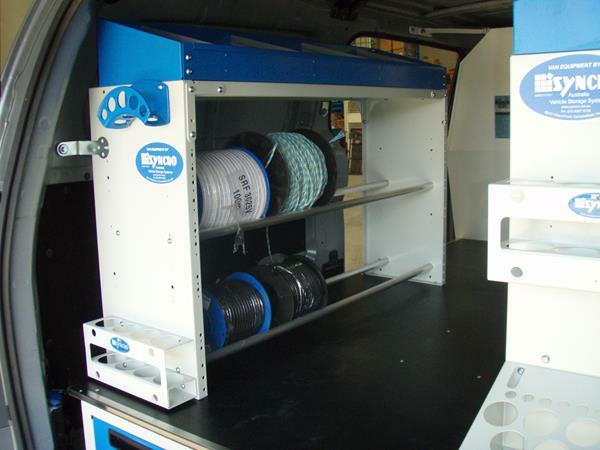 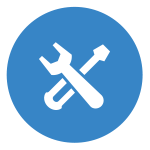 Ring us at 0393576780/ 0419369913 or email us at john@syncro.net.au to get your van transformed into a space that will help you carry out your routine activities with ease and high efficiency.